Non-toxic cleaning products with NZFSA approval for use in food establishments. 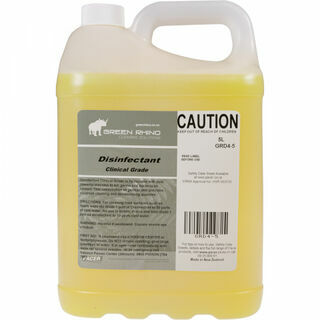 Eco friendly and bio-degradable BIO-CLEAN Eucalyptus All Purpose Degreaser Cleaner contains natural eucalyptus oil. Eucalyptus oil is nature's natural solvent which is ideal for dissolving grease (both food and petroleum based). Eucalyptus oil is also a disinfectant and an antiseptic which makes Green Earth Eucalyptus Degreaser Cleaner a great powerful cleaner for all areas making it truly all purpose. Greenleaf Eucalyptus Degreaser Cleaner removes grease, oils & diesel from driveways, cleans any surface including stoves, ovens, barbeques', engines, floors, walls, toilets, vinyl's, bathrooms, carpet stains, bench tops, plastics, glass, boat & car wash.
Eucalyptus Degreaser Cleaner even removes graffiti from painted surfaces. Greenleaf Eucalyptus Degreaser Cleaner is also used for cleaning plastic children's playground equipment as commonly seen at fast food restaurants. Also available in 5 litres. 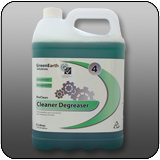 An environmentally and user friendly cleaner, degreaser, sanitiser and deodorizer Bio-Zyme Cleaner is the safer and healthier alternative to toxic cleaners, solvents, caustics and bleaches. 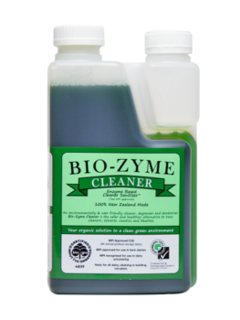 Bio-Zyme Cleaner concentrated formula can be used full strength or diluted with potable water. 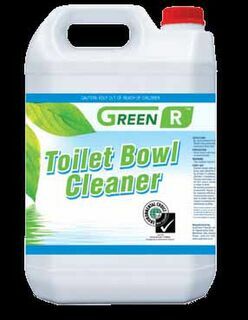 Can be used on any washable surface, floors, toilets, urinals, urinettes, carpets and drains. 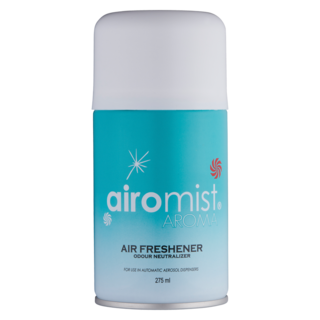 Used more commonly as a cleaner to eliminate smells and soils. When using as sanitiser, minimum contact time of one minute. Rinse off with potable water. Can be used very effectively through a foaming dispenser for greater coverage. 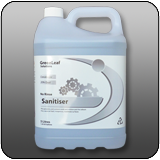 An environmentally and user friendly cleaner, degreaser and sanitiser, Bio-Zyme Multi-Purpose is the safer and healthier alternative to toxic cleaners, solvents, caustics and bleaches. 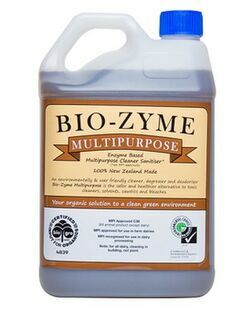 Bio-Zyme Multi-Purpose cleans floors, walls, benches and all food processing equipment. It cleans more than just visible surfaces, but also cleans and deodorises floor waste pipes and drains. Works very effectively through a foaming application for greater coverage in food processing areas. May be used for cleaning large processing rooms provided the room can be divided into distinct areas. No edible product or packaging may be present in the area during cleaning and there can be no possibility of contamination of product or packaging material as a result of cleaning. When using as sanitiser, minimum contact time of one minute. Rinse with potable water after application. Cream Cleanser is a natural based cream cleanser that is extreemly effective at cleaning stainless steel, porcelain, hard surfaces counters and stone bench tops. Orange Cream Cleanser is a non-abrasive cleaner with a fresh orange fragrance. Rinses off surfaces easily without leaving any residue. Ideal for use in bathrooms, kitchens and laundry rooms, on sinks, tubs and tile, stoves, counter tops, water stains in toilets, pots and pan. The phrase ‘gram’ is a term used by microbiologist to classify bacteria into two groups (gram-positive or gram-negative). This positive/negative reference is based on the bacterium’s chemical and physical cell wall properties. Neutral daily maintenance cleaner with a fresh lemon scent. Very economical. without harming or dulling the floor finish. - Neutral pH and will not harm floor finishes. - Streak and film free. - Burnishes to original gloss. - Energetic cleaner with many other non-floor uses. - Works well in hard or soft, cold or hot water. - NZFSA Approved C 22. 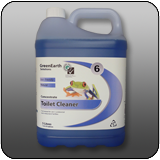 - Environmental Choice NZ licensed product. INSTACLEAN is mild and safe to use on INSTASHINE and INSTAGLOSS floor finishes. 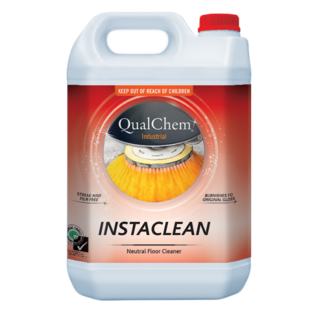 INSTACLEAN is the ideal interim cleaner providing maximum cleaning power. 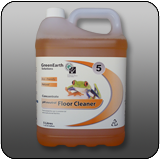 Use GreenEarth Neutral Floor Cleaner on waxed floors without concern for dulling the finish. It also deodorizes as it cleans with a fresh lemon scent. Medical Ethanol 75% is a ready for use antibacterial alcohol, with a mild non-residual odour. Ideal as a fuel for lighting and heating. Due to its rapid evaporation it also suitable to clean electronics. Do not use in a contained space. 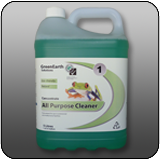 Powerful All Purpose hard surface biodegradable cleaner containing d-limonene orange peel solvent. Orange Based Cleaner has been formulated with a unique blend of biodegradable surfactants for cleansing and degreasing floors, walls, concrete, toilets, hand basins and all washable surfaces. Greenearth SupaSorb super absorbent powder does the unpleasant job of removing vomit, diarrhoea and pet urine off your carpets & floors and helps prevent damage. SupaSorb consists of a deodorant that instantly eliminates the unpleasant odours. It also contains millions of unique, highly absorbent sponge flakes that absorb the liquid mess and turns it into a relatively dry material that you can easily remove from carpets and floors simply by vacuuming, carpet sweeping or sweeping into a dust pan. SupaSorb absorbes over 100 times it's own weight, is non-toxic, made from natural products and is also biodegradable making it safe to use. For use on wooden surfaces and surfaces that require a neutral ph. Table kleen is a neutral ph mild detergent, which contains no solvents, therefore is not harmful to wood or other porous surfaces. Table Kleen is used the same as spray and wipe. Can also be buffed to a high shine.